The Greatest American Hero TV show was a 60 minute adventure / comedy series on ABC with a sci-fi twist about a Los Angeles high school teacher (Ralph Hinkley) who was given a red flying suit by aliens during a field trip to the desert. An F.B.I. agent convinces him to use the suit to fight crime. Ralph later discovers that the suit also gives him the power to become invisible, to see things from great distances and to see through solid objects. During the first season only, Ralph also sometimes included his students in his crime-stopping adventures. The theme song for the series became a major hit on the charts during the summer of 1981. The owners of the Superman copyright threatened to sue citing similarities in the suits and of the superpowers. 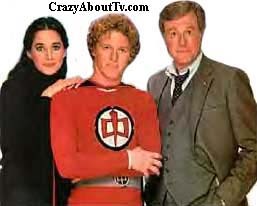 Connie Sellecca starred on another TV series before, the Greatest American Hero titled, "Flying High". Before the final season of the Greatest American Hero began, Connie appeared in a TV movie titled, "Hotel". She went on to re-create the role on a Hotel TV Show. The first episode of that series aired a measley 6 1/2 months after the final episode of the Greatest American Hero so Connie didn't have any substantial gap in her resumé! Before becoming an actress, Connie had a career modelling lingerie. The actors and crews that Connie works with know her as an expert practical joker. When she and Gil Gerard were married he would come home to find Connie on the floor, seemingly dead, with a huge pool of fake blood all around! That happened so often that Gil started rating how good her attempts were compared to previous ones! On March 30, 1981, a man named John Hinckley attempted to assasinate President Ronald Reagan. Fearing public disgust over the similarity in last names (Hinkley & Hinckley), scripts were quickly rewritten to refer to the hero of the series as simply, "Mr. H" and sometimes even "Mr. Hanley". Eventually, however, things cooled off and his name was changed back to Hinkley. Robert Culp's grandfather inspired him in his role as Bill Maxwell. He had also written an episode of his series, "I Spy" where he developed a character (Uncle Harry) who was also inspired by his grandfather. Robert Culp wrote several of the Greatest American Hero scripts. He had previously written scripts for his first series "Trackdown (1957)" and also for "I Spy (1965)". He even won an Emmy for one of the "I Spy" scripts! Thirteen years before appearing as an FBI agent in "The Greatest American Hero", Robert Culp played the role of a U.S. secret agent on "I Spy". Actually, the rugged schedule of shooting "I Spy" caused him on many occasions to say that he didn't even want to see scripts for TV pilots. 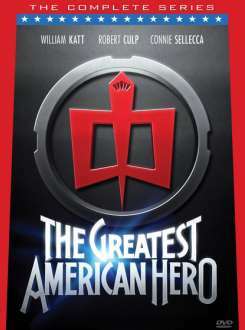 Fortunately, a friend convinced him to change his mind for "The Greatest American Hero". Title: "Believe It Or Not"
Written By: "Mike Post and Stephen Geyer"
Thank you for visiting our Greatest American Hero page!